Chiller, Freezer and Dry Storage Facilities. 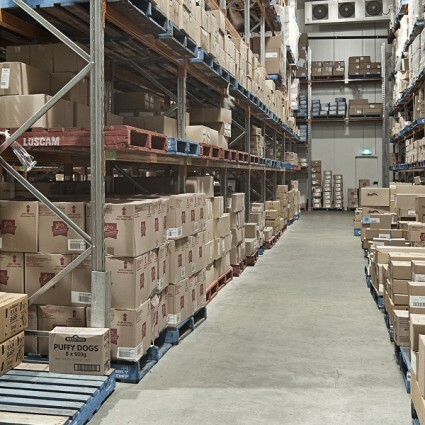 As a 3PL provider, we offer an extensive range of services from receiving, storage, picking and packing to deliveries. Fridge It has the capacity to store a vast range of products in temperature controlled facilities for freezer, chiller and dry environments. With technology monitoring your product, Fridge It has alarms detecting fluctuations in critical temperatures. The storage facilities are also monitored by cameras and motion detectors. Long and short term storage is available at Fridge It. This flexibility enables Fridge It to tailor individual customer requirements from carton storage to pallets.